Stuff, stuff and more stuff! Is your house overflowing with stuff? Is your mind overflowing with stuff? This tip may sound more like a housecleaning tip than a step towards better health, but this week we are examining the idea of reducing clutter in your life -- both physical clutter and mental clutter. We all know what it feels like when we can't find something important -- we know exactly what we are looking for, we remember seeing it somewhere, but we can't get our hands on it! Frustrating to say the least. Whether it's piles of papers on the kitchen counter, overflowing magazine racks, an obstacle course for a stairway, or endless lists running through your mind, it all leads to the same thing -- frustration. This frustration leads to stress and anxiety which in turn takes a toll on our health. Many people turn to professional organizers to help them get their clutter problem under control. This is all fine and well, but the real issue that needs to be addressed is coming up with your own "box of tools" to conquer this problem. Ultimately, YOU are the person that has to deal with the issue daily and keep things managed. Physical clutter -- messy spaces, piles, unfinished tasks -- leads to mental clutter. And mental clutter has a serious impact on your state of mind and well being. When an endless loop runs through your head and that loop plays over and over, it is tough to silence the voice and move forward. You can become nonfunctional and nonproductive. Mental clutter can affect all aspects of your life. Your quality of sleep diminishes, becoming more erratic and leading to bad or strange dreams. Sleep is crucial to well-being, health and vitality; quality REM sleep is necessary for the body to repair and rejuvenate, and an interruption to REM sleep can lead to a host of problems. You can become drowsy and unfocused during the day, miss important deadlines, and make poor decisions. And you can begin dreading bedtime knowing that sleep is elusive and a serious insomnia problem can develop. Begin sorting the items you wrote down in to broad categories. "Clean out Garage" goes under Household. "Organize bills/paperwork" goes under Paperwork. 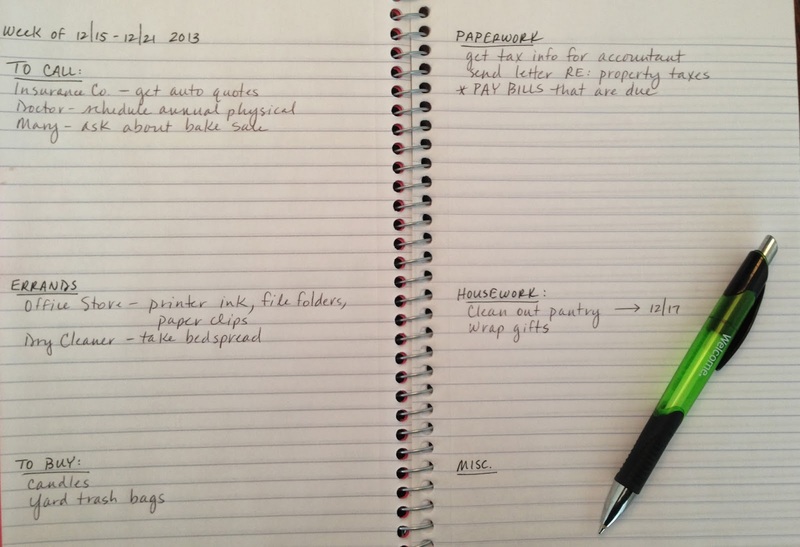 Do you need to buy office supplies in order to better organize your bill-paying? Add those items to your Things To Buy section. "Schedule family dental appointments" goes under People To Call. Then, one by one, begin to knock off the easiest things first. As you accomplish each task, cross it off the list. This is very important, as visually seeing items get accomplished will begin to reduce your mental clutter. When you have your list compiled, daunting as it may be, crossing each item off the list results in a sense of accomplishment as well as a visual reminder that you are working towards your goals. Let your list be the "keeper of your anxiety;" in other words, put it on the list so it stops running through your mind. List it, and forget about it! Similarly, list the remaining items you need to finish cleaning out the garage, and go ahead and schedule them on your calendar. ONLY use the "Miscellaneous" section for tasks that truly don't fit any other category." Enough said about that. It's too easy to end up with a whole list of miscellaneous items that never get done! Notice my Miscellaneous section is blank? Once you begin breaking down and listing tasks on a Master To Do List, your mental clutter will lessen. Sleep will improve, your self confidence will go up, and you will be well on your way to tackling both physical and mental clutter. Don't underestimate the power of getting more organized and reducing all kinds of clutter in your life. 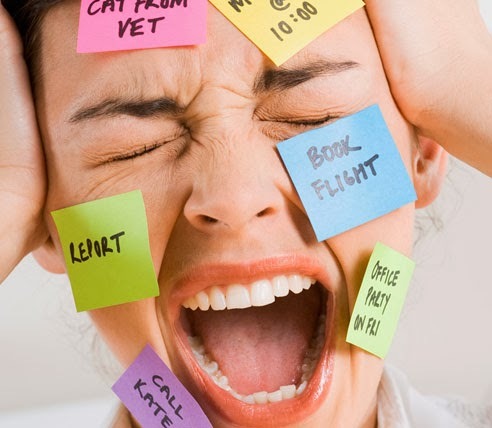 When physical clutter begins to clutter your mind, stress goes up and stress results in inflammation. Inflammation leads to chronic disease of all kinds -- heart disease, diabetes, Alzheimer's, Parkinson's, chronic fatigue syndrome, depression -- to name a few. If you are still feeling stressed by your unfinished tasks, stop and take a breather. Literally, practice the breathing exercise recommended by Dr. Andrew Weil -- his 4-7-8 Breathing Exercise. For an excellent demonstration of this exercise, click here. Then, return to your list and know that you can do this! It is well known that an alkaline body is a healthier body. To be alkaline means to have a healthy pH balance internally. The ideal blood pH (potential of Hydrogen) for humans is somewhere between 7.35 and 7.45. Many of us fall far below this healthy level and our bodies tend to be more acidic. Acidity leads to disease, inflammation and an overall decline in health. Our pH is measured on a scale from 0 to 14, with 7 being neutral. The human body strives naturally to be on the alkaline side and functions best above 7. When our bodies are optimally alkaline, we are said to be in a state of homeostasis, or balance. Since pH affects every biochemical reaction within your body, it is important to strive for alkalinity. These biochemical reactions include immune function, digestion, mineral absorption, hormone production, and every other metabolic process. The foods we eat are either alkalinizing or acidifying based on the effect they have on the body after consumption. A diet rich in fruits and dark, leafy vegetables are examples of alkaline foods, while meat and foods high in fat, starch and sugar are acidic. For a list of alkaline and acidic pH foods, click here. You may be surprised by some foods on the list which are highly acidic! It is not necessary to avoid all acidic foods, but a good rule of thumb is to strive towards a diet containing 80% alkaline foods and 20% acidic foods. Today, due to soil depletion and environmental toxins, many of the foods we eat are lacking in vital nutrients and minerals so it may be necessary to supplement our diet in order to achieve this balance. Fortunately, there are many healthy ways to do this. Natural, raw apple cider vinegar is one of easiest ways to improve alkalinity. Although vinegar itself is acidic, natural raw apple cider vinegar has a neutralizing effect when it combines with stomach acids. Unlike most grocery store processed vinegars" which have been pasteurized and filtered thus leaving them devoid of nutrients, natural raw apple cider vinegar is from the Mother. The "Mother" is a ball of floating enzymes present in the vinegar which is loaded with nutrients and life-sustaining properties. My personal favorite is Bragg Apple Cider Vinegar. You can learn more about it here. Raw apple cider vinegar is "cloudy" with a rich golden color. The usual dose for pH balancing is 1 Tablespoon mixed with 6-8 ounces of water, 2-3 times per day. Baking soda is another excellent remedy for balancing pH. It has neutralizing properties which help regulate pH -- keeping a substance neither too acidic nor too alkaline. When baking soda comes in contact with either an acidic or an alkaline substance, its natural effect is to neutralize that pH and buffer it. 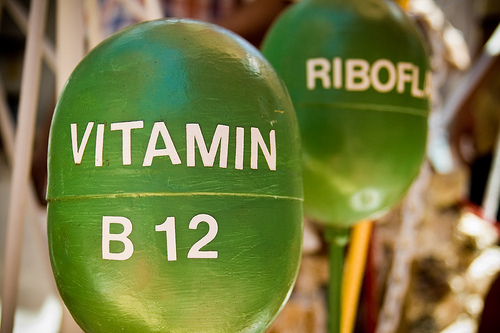 The usual dose for pH balancing is 1/2 teaspoon mixed with 4-6 ounces of water, 2-3 times per day. Shop for organic brands that do not contain aluminum -- it should state so clearly on the label. Aluminum is a dangerous heavy metal that is present in the environment in ever-increasing levels and has been linked to diseases such as Alzheimers, Parkinsons, autism, and ADHD. Baking soda does contain sodium, so if you are following a sodium-restricted diet be sure to check with your doctor first. Drinking plenty of pH-balanced water is one of the easiest ways to improve your body's alkalinity. Unfortunately, municipal tap water isn't always alkaline. 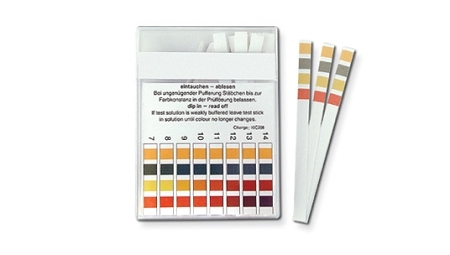 You can check with your local water company to determine the pH level, or you can check the level yourself using pH strips (more on that below). Water that comes from a well or natural spring or aquifer is usually more balanced. Evian, Fiji and Essentia are brands that have optimal pH. Now that we've learned about four easy ways to improve your alkalinity -- eating a healthy, plant-rich diet, adding raw apple cider vinegar, adding baking soda, and drinking more alkaline water -- what is the best way to find out if it's helping? The easiest way is to purchase pH strips from your local pharmacy or an online source. The strips are inexpensive and are the most accurate way to determine if you are achieving your goal. They can be used to test either urine or saliva, and they include a color chart so you can see exactly what your pH level is. It is best to take a reading before you begin your dietary changes to establish a baseline of your normal. You can test several times throughout the day and make necessary adjustments in your regimen. Important: Normal urine and saliva pH levels are slightly lower than blood pH, so aim for something around 6.5 for urine and 6.0 for saliva. This week, commit to improving your pH level and begin to see and feel the improvement in your overall health! "Man maintains his balance, poise, and sense of security only as he is moving forward." Up to this point we have covered the importance of eating a healthy, balanced breakfast, lunch and snack. And we have discussed the importance of learning to calculate the ideal number of calories your body needs, whether for weight loss or maintaining your weight. 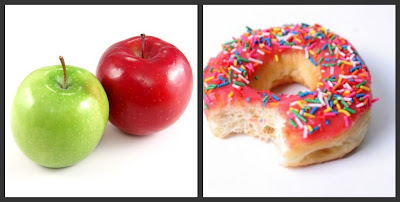 This week we are going to add a second healthy snack to our day and begin manipulating our calories throughout the day for optimal energy and nutrition. Assuming you eat dinner each evening (healthy dinner options will be covered in a future post) the addition of this snack to our daily intake means we will now be eating at least five times per day. Wait, you say... eat five times per day? What happened to eating 3 square meals? The idea of eating 5-6 small meals per day has been in vogue for the past few years. Proponents of this method believe that spreading your calories throughout the day into smaller meals helps rev up metabolism, prevent energy reserves from running low, and prevent your body from burning up muscle for fuel. It also keeps blood sugar levels steady due to a steady supply of energy. Let's examine the pros and cons of eating this way and see why it can help you achieve health and fitness goals. Athletes, bodybuilders and fitness experts are able to manipulate calories, nutrients and exercise in a way that yields maximum results for their effort. They know from experience that eating frequent small meals helps provide enough sustained energy to get through their rigorous workouts. And they know that the best way to build new muscle and preserve the muscle they already have is to keep a steady supply of amino acids available in their bloodstreams through ingesting small meals containing adequate protein. They rarely let more than 2-3 hours go by before they are supplying their bodies with the next balanced and nutritious load of calories which includes protein, carbs and healthy fats. What does that mean for the rest of us? It means that we can learn a thing or two about timing our meals/snacks in order to achieve similar positive outcomes. The average person can only utilize a limited number of calories per meal. If you eat more calories than your body needs at the moment, the excess gets stored as fat. Let's look at this example. Suppose you are an active woman who requires 2,000 calories per day to maintain your weight. The average woman can utilize somewhere in the neighborhood of 300 to 500 calories per meal. If you divide the 2,000 calories into 3 square meals, that comes out to approximately 700 calories per meal. Assuming your body can only utilize 400 calories of energy per meal, the extra 300 calories eaten has nowhere to go except stored in your fat cells for later use. So while you are not overeating in terms of total daily calories, you are not supplying energy in an optimal way for your body. Now, assume like many busy women you skip breakfast altogether and only eat lunch and dinner, that comes out to 1,000 calories eaten per meal. This is approximately 600 calories more per meal than your body can handle at any one time. Guess what happens to those extra calories? Take the same 2,000 calories and spread it out over 5 meals, and this comes out to 400 calories per meal which is just about perfect for energy utilization. Divide it by 6 meals and now you are down to approximately 350 calories per meal. Remember that it takes about 2-3 hours for your stomach to empty, so if you are refueling with the perfect amount of calories at regular intervals your metabolism begins to operate in a much more efficient manner. When you begin to eat 5-6 times per day, you can see that there really isn't room for large, super-size meals. Each meal becomes a smaller, nutritionally balanced choice that satisfies energy demands and isn't driven by cravings and low blood sugar levels. Does that mean you can never go out to a restaurant and order a big meal again? Of course not, but that should be the exception and not the rule. Follow the 90/10 rule: if you are eating correctly and optimally 90% of the time, you can afford to go off plan and splurge a little 10% of the time. Perhaps that means one "splurge" dinner out per week instead of three or four. The hardest part about eating 5-6 times per day is planning the meals in advance and then sticking to that plan. It requires some forethought about calories per meal and redefining in our minds what constitutes a "meal". Suddenly, a can of tuna mixed with pickle relish, a few whole grain crackers and a piece of fruit makes a perfect, filling lunch when it is surrounded hours before or after with a balanced snack. You may find it very helpful to go back to Week 10 of our Healthy Tips and calculate just how many calories you should be eating in a day. If you truly want to improve your physique, build new muscle, and improve energy levels, dividing those calories into 5-6 meals per day is one of the best ways to get there. With all the technological advances these days -- from cars to computers, smart phones to smart houses -- it's no surprise that technology is reshaping the exercise industry too. Tools that were once available only to elite athletes and sports professionals are now standard fixtures in gyms and for home use. Gone are the days where one has to stop in the middle of exercise, find their pulse, and use the second-hand on their watch to determine heart rate. Today, tools like inexpensive heart rate monitors offer a precise analysis of not only current heart rate, but also whether or not one is training within the perfect intensity "zone." The fitness industry is literally bursting with products and gadgets that can enhance your exercise experience. This week we will examine some tools that can aid in your efforts to improve strength, physique and overall fitness level. Since we've already mentioned the heart rate monitor, let's begin there. There are several different "zones" one can be in when exercising. For example, 50% of your maximum heart rate* is mainly a warmup zone. At 60-70%, this is mostly a fat burning zone. 70-80% is an aerobic fitness zone, 80-90% is an anaerobic performance training zone, and finally at 90-100% you are at maximum effort. This is a very intense level and most people can only stay in this zone for a brief period of time. People often exercise for a certain length of time or distance, say 30 minutes or 2 miles, but they aren't certain whether or not their heart rate is in the "correct" zone to achieve their desired results. If your primary goal is to lose fat, then you want to stay in the 60-70% range. While increasing your effort to the 80-90% range might increase the total number of calories burned, many more of those calories will be coming from carbohydrates rather than stored fat. 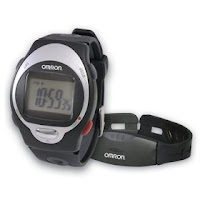 Wearing a heart rate monitor can ensure that you are training in an optimal way. Easy to use, the monitor consists of two parts: a chest strap that fastens around your ribcage, and a wrist monitor that also functions as a regular wristwatch. Heart rate monitors do much more than just monitor heart rate; more advanced models allow you to enter your personal VO2 max level (this is the amount of oxygen that can be removed from the blood and used to fuel working tissue/muscle during a specified amount of time) thus making the monitor very accurate for you (if someone borrowed your heart rate monitor they would get a slightly inaccurate reading since everyone's VO2 level is different). Heart rate monitors can also store several months worth of exercise data including length and total number of workouts, calories burned, and percentage of time spent in your target heart rate zone. You can design customized workouts and program those into your monitor as well. Another useful tool, especially with regards to weight management, are the relatively new wireless personal fitness trackers. 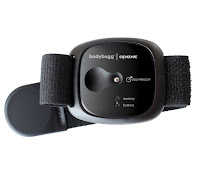 One example, the bodybugg, was propelled to fame when it was featured on The Biggest Loser television show. Worn around the arm only (no chest strap required), it is designed to track calories consumed, calories burned, and includes a built-in pedometer to track steps taken. It has four sensors which collect data from your body and provides a reasonably accurate estimation of energy expenditure. It requires a subscription to a web-based software program and can be very helpful for managing diet goals. Mobile apps are now available for both Android phones and the iPhone making the bodybugg both portable and convenient. 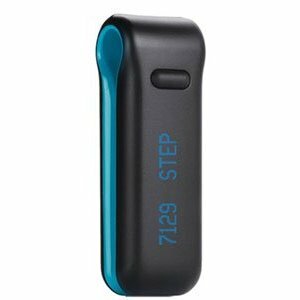 A similar device, the Fitbit, tracks the same types of information with the added benefit of monitoring sleep patterns. Pedometers have been around forever, but today's models are far more sophisticated and accurate than in the past. 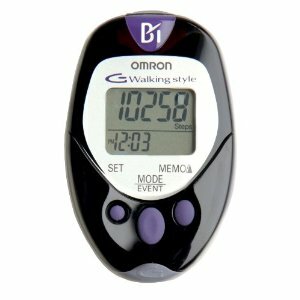 Easy to wear, a pedometer can be a fun tracking tool that helps one stay motivated in a walking program. Health experts recommend a goal of 10,000 steps per day for healthy adults, and research shows that those who wear pedometers increase their daily step count an average of 2,000 steps per day (about one mile). Over the course of a year, those extra steps translate into as much as a 10-pound weight loss. 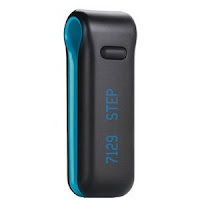 This is one gadget where you really do get what you pay for, so learn about the various features available and buy the best pedometer you can afford. They range in price from around $10 up to $40 or more. The most basic models only measure the number of steps taken while more sophisticated models measure distance walked, calories burned, time spent walking, aerobic vs. nonaerobic steps, and more. Some even come with software that allows the information from your pedometer to be uploaded to your PC each day to track progress and goals. I have personally owned various models of pedometers with my favorite being my current Omron HC720. This is a very accurate device and can be clipped to a waistband, shoe, or even placed in a pocket. For those of you who like to listen to music while you exercise, newer iPod Nanos come with a pedometer feature which can be handy. Body fat monitors can be an especially helpful tool when measuring progress towards one's weightloss goals. 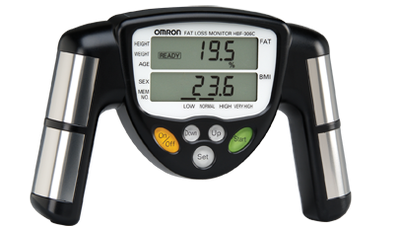 Similar to bodyfat scales, these handheld devices are less expensive, smaller, and their portability means they can easily be taken along when traveling. While not 100% accurate, they are a reliable indicator of body fat levels once you get the hang of using them. Body fat analyzers have galvanized electrodes that send a small, painless current of electricity through your body. With the hand-held version, this signal is sent through one hand and travels down to the waist area, back up the body and through the other hand to the other electrode. It measures the subcutaneous fat under the skin (1). Tracking your body fat percentage is extremely important when dieting because you want to be sure you are actually losing fat, not muscle and water. Newer, even smaller models are available which can slip right into your pocket. As always, do your research first and find the monitor that best suits your needs. Of course, none of these gadgets are necessary for getting in shape but they can sure make it a lot more fun! When trying to accomplish a goal, we can all benefit from feedback and these tools provide an excellent assessment of how well we are progressing. Your task this week is to examine the different technologies and see if there is one that just might aid you on your path to better health. Additional tools you may want to investigate include the Nike Sportband, Wi-Fi Body Scale, Phillips Activa music player, the Gruve, Wii Fit, Samsung My Fit, and the Adidas miCoach. * To easily calculate your maximum heart rate, subtract your age from 220. While not completely accurate, this is a reasonable estimate of the maximum number of beats your heart is capable of. Then, multiply this number by .5 to find 50%, .6 to find 60%, etc. I don't know about you, but I'm getting a little tired of reading articles that tell us (more like shout at us) a list of foods that we must eat. "Top Ten Superfoods for Health!" or "Twelve Foods You Simply Must Be Eating!" 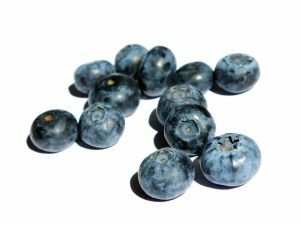 And nevermind that all of the lists are different -- sure, a few favorites like blueberries and tomatoes seem to make it on to every list -- but recently I stumbled across one that included kale and watercress. Kale? Really? I'm not at all opposed to this leafy green vegetable but I can't ever recall a time when it was a "must have" on my shopping list. This got me thinking -- who comes up with these lists? What makes one healthy food superior to another? And how do they narrow it down to only ten foods? I have noticed that some of them include far more than ten foods by listing very broad categories such as "fruit" or "whole grains." That seems a bit like cheating, to me. If you're going to tell people ten foods they must eat, then be specific. Entire categories of food are too vague. 1. Blueberries - These little gems are like candy to me. I eat them everyday, without fail -- in the morning on my oatmeal or yogurt, in the afternoon on a salad, after dinner with a tablespoon of whipped cream. They are sweet, juicy and delicious and pair up beautifully with both savory and sweet dishes. Loaded with antioxidants which help neutralize free radicals (unstable molecules linked to the development of a number of diseases including cancer, cardiovascular disease and other age-related conditions such as Alzheimer's), they are an excellent source of vitamin C, manganese, and dietary fiber. With only 80 calories per cup, they are a nutritional bargain for people watching their weight. Compare that to a cup of pudding which has approximately 320 calories. 2. Spinach - This nutritional workhorse is one of the easiest superfoods to slip into your everyday repertoire. Bags of pre-washed fresh baby spinach are conveniently located in your grocer's produce section and make adding spinach to meals a breeze. At breakfast, toss a handful in with scrambled eggs or an omelette. At lunch, use it on a sandwich in place of lettuce. Add it to tossed salads (a superior alternative to lettuces) and chilled pasta salads. At dinner, add it to soups, sauces and hot pasta dishes. Or serve it on it's own as a side dish -- drizzle a little olive oil, add a few fresh cloves of garlic, and steam it in a scant amount of water for only a minute or two, just until wilted. Spinach is low in calories, yet extremely high in vitamins, minerals -- especially iron -- and other phytonutrients. 3. Oats - I am willing to bet that most people who say they don't like oatmeal have never had it prepared deliciously. Too often, people add boiling water to their oats -- usually the quick-cooking or instant variety rather than the old-fashioned rolled oats. Quick-cooking and instant are mushier in texture because they have been more heavily processed, and water doesn't add any additional flavor or nutrients. The end result is a gloppy, sticky, flavorless substance that resembles wallpaper paste! On the other hand, old-fashioned rolled oats prepared with milk instead of water, drizzled with a bit of honey, and topped with berries, bananas and walnuts is unbelievably tasty. The natural sugars in the milk add a hint of sweetness and flavor, and the overall texture is better. Oats aren't just for breakfast though. They make a delicious addition to meatloaf and meatballs, a savory coating for chicken and pork dishes, and elevate muffins, cookies and granola bars to a healthier level. Oats are a significant source of dietary fiber. One component of this fiber is beta-glucans, a substance which acts as an "entrapment" for bad cholesterol. In study after study, oats have been proven to lower cholesterol when eaten on a daily basis. Oats contain hundreds of phytochemicals (plant chemicals) which are believed to reduce a person's risk of getting cancer. Because of their high fiber content, oats have been shown to aid in bowel function as well as weight control. Studies also show reduced blood pressure in people who eat a daily serving of oats. 4. Almonds - These teardrop-shaped treats just may be the closest thing to nature's perfect food. Jam-packed with calcium, magnesium, vitamin E, phosphorus, potassium, and folic acid, they pack a powerful nutritional punch for something so small. They are high in monounsaturated fats, the same type found in healthy olive oil, which are healthy for your heart and do not raise cholesterol. 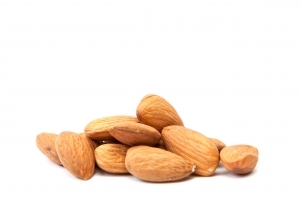 Just one ounce -- approximately 20-25 almonds -- contains as much calcium as 1/4 cup milk so they are particularly attractive to people who need to avoid dairy products. They come in many varieties including natural raw and oven-roasted and their portability makes them a perfect snack along with a piece of fruit. Sliced almonds are delicious on cereal, oatmeal, yogurt, salads, and as a crunchy coating for fish and chicken. While a very healthy choice, they are high in calories so it's best to measure these tasty tidbits into one-ounce servings. 5. Tomatoes - How can we possibly say enough good things about them in a single paragraph?! Tomatoes are loaded with vitamin C and lycopene and are considered one of the healthiest foods on the planet. But tomatoes weren't always so popular. A member of the deadly nightshade family, tomatoes were once considered poisonous and inedible and were generally avoided in the western world. It has only been as recent as the early 19th century that people realized not only were they safe to eat, tomatoes also had tremendous health benefits. Lycopene, a powerful antioxidant that flushes out free-radicals from the bloodstream, is found in very high levels in tomatoes. Lycopene gives tomatoes their rich red color and has been proven to reduce cancers such as prostate, cervical, colon, rectal, and cancers of the stomach, mouth, pharynx, and esophagus when consumed in high levels. There are an endless variety of tomatoes which means they can be enjoyed in many ways. Of course they are a staple in pasta dishes, soups and stews, delicious on top of a salad, and are a necessary ingredient in a BLT. Smaller varieties like cherry, grape and cherub tomatoes make quick and delicious snacks. 6. Fish - Ok, I realize this is one of those broad categories that I was criticizing earlier (sorry!) but I find it impossible to recommend only one kind of fish. The reality is, with the high levels of mercury that can occur in all types of fish, it is best to mix it up and eat a wide variety. Fish is an excellent source of Omega-3 fatty acids which our bodies cannot produce on their own. Omega-3s have been shown to decrease heart disease, reduce blood pressure, and promote healthy brain function. Omega-3 fatty acids are found in every kind of fish, but are especially high in fatty fish. Good fish choices for Omega-3’s include salmon, tuna (canned light), trout, sardines, sea bass, oysters, crab, perch, shrimp, and cod. (1) The American Heart Association recommends eating at least two servings of fish per week. My favorite quick and easy method for preparing white, flaky fish such as cod or halibut is to brush it with olive oil, season with Mrs. Dash, crushed red pepper, fresh ground black pepper, and top with fresh bread crumbs and chopped tomatoes (there are those tomatoes again!). Bake at 400 degrees for approximately 12-15 minutes until fish is opaque and flakes easily with a fork. This makes a perfect lunch or dinner. Fish is high in protein, low in fat, and an extremely healthy addition to any diet. 7. Eggs - Perhaps one of the most maligned food items in the past, the pendulum has swung the other way for the lowly egg. Sworn off for their high cholesterol content, researchers and nutritionists now know that the egg can be a very healthy addition to one's diet. Harvard researchers have concluded that "dietary cholesterol isn't nearly the villain it's been portrayed to be." In a recent study, they found "the biggest influence on blood cholesterol level is the mix of fats in your diet—not the amount of cholesterol you eat from food," with trans fats and saturated fats being the biggest culprit in driving up cholesterol. (2) Of course if you suffer from heart disease or diabetes you will want to check with your doctor first, but most health experts now give the green light to moderate egg consumption. This is good news for healthy individuals who love eggs! Eggs are quick to prepare, high in protein, relatively low in calories, and a good source of Omega-3 fatty acids. They are portable when hard-boiled which makes them a convenient snack. Evidence shows that organic eggs from free-range chickens are much higher in Omega-3s, lower in saturated fats, and just plain taste better than eggs from commercially raised chickens. This may be one area where it pays to buy the best. If you are concerned about calories or fat, you can always add egg whites to one whole egg. This gives all the benefits of extra protein without the extra calories (55 calories in the yolk while the white contains only 16 calories). 8. Sweet Potatoes - If I had to pick a favorite among my Top Ten list, this is it. This nutritional all-star is full of good things including vitamin A, vitamin C, vitamin E, potassium, iron, magnesium and phytochemicals like beta carotene and lutein. Only distantly related to the white potato (and don't confuse it with a yam -- it's not even the same species! ), this superfood is versatile, portable and delicious. Even though they are called "sweet" potatoes, they actually take much longer to digest and enter the blood stream than white potatoes whose starches quickly convert to sugar. Baked whole, oven-fried in olive oil, or mashed and served in a casserole, sweet potatoes make a perfect accompaniment to any meal. What I love about them (and this is often overlooked) is how portable they are. They can be microwaved at home and taken along when you go out. Later, when they have cooled, they can be peeled like a banana and eaten whole. Don't forget to pierce them with a fork a couple of times before microwaving or baking to allow the steam to escape. 9. Extra Virgin Olive Oil - One of the few oils that is delicious enough to eat right out of the bottle, Extra Virgin olive oil comes from the first cold pressing of the olives and has the freshest flavor and the most nutrients. Do not confuse it with Virgin olive oil or Pure olive oil. Virgin olive oil is still delicious but comes from the second pressing of the olives so it has slightly less flavor and more acidity. Pure olive oil can be rather misleading because it is often a blend of either extra virgin or virgin olive oil as well as poor quality olive oils that are refined. The health benefits really are dramatically different among the three types of olive oil, so it pays to buy the best extra virgin oil you can afford. A staple of the healthy Mediterranean diet, extra virgin olive oil is high in monounsaturated fats and relatively low in saturated fats. In numerous studies, it has been associated with reduced risk of coronory disease, reduced cancer rates including breast, lung, stomach, small intestine and colorectal cancers, and supports overall bone health and cognitive function. Extra virgin olive oil is especially delicious right out of the bottle when accompanied by a hearty whole grain bread for dipping. You can drizzle it over steamed vegetables, add it to pasta sauces, and use it on noodles in place of butter to prevent sticking together. It is perfect for sauteeing delicate fish and chicken cutlets, imparting a sweet, nutty flavor when heated. Olive oil is also wonderful for skin and hair and can be applied to both as an extra-nutritive conditioner. Include up to a tablespoon of this wonder-food in your diet each day to glean the most benefit. 10. Brown rice - The ugly duckling of the rice world, brown rice is quickly becoming the rice du jour among foodies and people with discerning palates. Unlike white rice which has had the germ and the bran stripped (thus almost all of the nutrients are gone) brown rice has had only the outer, inedible hull removed. Because it still has the germ and the bran, it has as much as 70% more nutrients than its stripped, bleached and polished cousin, white rice. It has a nuttier, chewier flavor and texture and retains its natural color from the fields. It is an excellent source of manganese, magnesium and selenium and is rich in fiber. Like other whole grains, brown rice is slow to digest and enter the bloodstream, making it a perfect carbohydrate to pair with protein and healthy fats. If the taste is too bland for your liking, you can add flavor by cooking it in low sodium chicken broth. You can also make a delicious rice pilaf by sauteeing it raw in extra virgin olive oil, then steaming it with chopped cashews and mushrooms. Well, there you have it -- my top ten superfoods! You will notice that all of these foods are unprocessed and contain no additives or preservatives. They are readily available in any grocery store and provide a wide array of nutrients. They combine well with eachother and other foods, can be eaten at any time of day, and are convenient to prepare and store. This week, your task is to add some or all of these superfoods to your grocery list. Over the next few days and weeks, make it a goal to include all ten in your weekly menus. Week 16 - Drink more... (you guessed it)... WATER!!! If it is starting to sound like a broken record around here with the "drink more water" mantra... well... all I can say is, "Drink more water!" This is the third post on the site having to do with water so I hope it is becoming clear how important hydration is for your health. At this point, you are already drinking at least four glasses of water per day -- one before breakfast and one before dinner, as well as one mid-morning and one mid-afternoon. Time to add two more glasses to our schedule: one after breakfast, and one after lunch. Easy enough? It may begin to feel tedious trying to remember each glass at the specific time; one way to approach it is to purchase a water bottle which can hold up to 32 ounces, and sip 8 ounces at each strategic time of day refilling as necessary. Personally, I like the ones that have the ounces clearly marked on the side of the bottle. As you chug your water, you can see the progress you are making towards your ultimate goal of six to eight glasses per day*. 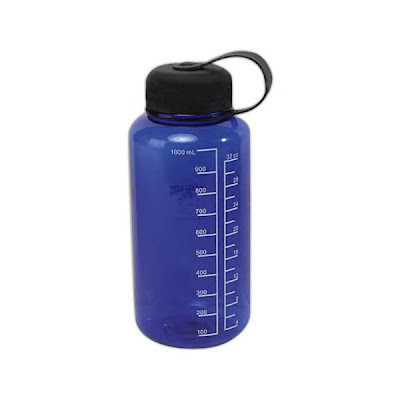 If you choose a wide-mouth bottle such as the one pictured below, it is easy to fill it with ice. You can also fit sliced lemons, limes and oranges if you enjoy your H2O with a citrus twist. ﻿On the other hand, some people feel intimidated by the "giant water bottle" approach -- they feel overwhelmed at the thought of getting through all that water and prefer instead to fill and drink a single 8-ounce glass at a time. Either method is fine as long as you are getting it in. In previous posts, we examined some of the reasons why water is so important to our health. ﻿You will recall that the human body is made up primarily of water (almost 75%) and that water is essential to every vital bodily system. It transports life-giving nutrients, minerals and salt throughout our bodies, cleansing and purifying as it moves along. It also helps regulate body temperature, keeps joints lubricated, and aids in digestion. You will also recall from our first post about water, the jury is still out when it comes to how much we actually need each day. Expert opinions vary widely on how much water to consume, whether or not only pure drinking water counts (or all beverages including coffee, tea, soda, milk, etc.) and for that matter, does the water obtained from food -- which accounts for nearly 20% of our total daily fluid intake -- count? In 2004, a noteworthy event occurred when the Institute of Medicine (IOM), a branch of the National Academy of Sciences, made an official recommendation about water intake for healthy individuals. It was the first official recommendation of its kind and is especially significant because it came on the heels of the U.S. government's Recommended Daily Allowance (RDA) conclusion that "it is impossible to set a water recommendation." (1) The IOM study concluded that the recommended daily fluid intake is 91 ounces for women and 125 ounces for men. That translates to more than ten 8-ounce glasses of water for women and nearly sixteen for men! Keep in mind though that this recommendation was for the total daily fluid intake, not just pure drinking water, and included fluid from all beverages as well as water obtained from food. While this still doesn't tell us exactly how much pure water to drink, one can see that drinking six to eight glasses per day is probably reasonable for the average American adult. Research is lacking in this area because it would clearly be unethical to deprive humans of water in order to conduct the studies. The average person can live for more than 30 days with no food, but only 4-5 days without water. Dehydration can lead to severe medical consequences so it would be quite difficult to conduct controlled studies. Additionally, our bodies have an amazing ability to adjust to varying levels of hydration -- whether overhydrated or underhydrated -- and this makes it especially difficult to determine cause and effect in the short term. Most of the research is confined to the effects on athletes after sports' performances. While this is helpful, it does not necessarily translate to the general population. Athletes are in the unusual position of losing extreme amounts of water through sweating in a short amount of time. Most of us become gradually dehydrated over a period of many hours and days. So where does this leave us in terms of understanding how important water really is to our health? Doctors, researchers, nutritionists, and other health professionals rely on clinical evidence, anecdotal observations and assumptions. 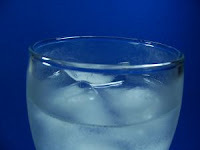 Because dehydration occurs at the cellular level, all bodily systems have the potential to be affected negatively. We release about 2.5 liters of water per day through respiration, perspiration and digestion. If this water is not replaced we start to run a deficit and mild dehydration begins. Early symptoms of dehydration include thirst, loss of appetite, dry skin, dark-colored urine, fatigue/weakness, chills, sleepiness, headache and dizziness. As dehydration progresses, more serious symptoms develop such as increased or decreased heart rate and respiration, decreased sweating and urine output, elevated body temperature, extreme fatigue, muscle cramps, headache and nausea. And there is an almost endless list of medical conditions that dehydration is known to exacerbate including asthma, allergies, constipation and digestive disorders, diabetes, eczema, chronic fatigue, headaches, high blood pressure, kidney stones, menopause, obesity, osteoporosis, respiratory problems, and stroke. Many experts believe that something as simple as proper hydration could greatly reduce the complications associated with these conditions. An estimated 80% of the American population does not drink enough water. Are YOU part of that group? This week, challenge yourself to get in all six glasses of water every day! One upon awakening, one after breakfast, one mid-morning, one after lunch, one mid-afternoon, and one before dinner. And of course, if you are exercising you should be drinking extra water as necessary to quench your thirst. By spreading your water intake throughout the day you are ensuring optimal hydration. * The goal of six-eight glasses per day is the recommendation for healthy adults. Always check with your doctor first, especially if you are taking medication or suffer from heart, kidney or pulmonary disease. Most people, when they begin any new form of exercise, start out gung-ho and full of optimism. They have big plans and big ideas on how to get started. Donning new exercise clothes and brand new sneakers, they have big dreams for their final results. After a few short weeks, plenty of muscle soreness (in muscles they didn't even know they had!) and less than stellar results, many people abandon their efforts altogether and slip back into little or no exercise. Sadly, what they fail to realize is that there is no quick-fix when it comes to improving fitness and physique. They didn't get out of shape overnight and they surely won't get in shape overnight. Consistency is key and this is one example where slow-and-steady really does win the race. If you have been following all of the Healthy Tips up to this point then you are already taking a daily walk, participating in strength training, and performing calisthenics and stretching exercises. You have laid a very good foundation on which to build the ultimate fit YOU. Perhaps you've already lost a few pounds and gained some strength and new muscle, but odds are that after only 14 weeks you have not yet seen a total body transformation. This is the point where you might ask yourself, "Why bother? It's really not making a difference." But the truth is, it is making a very big difference. Too often we measure our progress by what we see on the outside -- scale weight, body measurements, clothing size, cellulite -- and fail to recognize what is really happening on the inside. Lower blood pressure and resting heart rate, healthier arteries, stronger muscles, faster metabolism, improved circulation, etc. are all benefits from exercise that we don't necessarily "see." We must remind ourselves of our ultimate goal -- to be as healthy as we can possibly be -- and not focus exclusively on our outward appearance. This is the point where we want to dig in and stay focused. Daily exercise and healthy eating are becoming ingrained habits and this is no time to turn back when results aren't as fast as we would like. We mistakenly believe our new plan isn't working because we are constantly barraged by media messages telling us we can transform our bodies quickly. Magazine articles promise things like "Your Perfect Beach Body in 30 days!" or "Lose 20 Pounds by Summer" (and it's already May 1st). These are unrealistic claims that are meant to sell magazines. Would anyone buy a magazine with this headline: "Lose 2-4 Pounds in 1 Month!" Of course not, and magazine editors are savvy business people who know how to sell their product. We've all seen the glossy photo spreads of beautiful fitness models using five pound dumbbells to build muscle, doing crunches that promise 6-pack abs, and performing the latest, greatest belly-blasting workout. What they don't tell you is the models usually diet for 2-3 weeks before a photo shoot, reduce water intake so that their muscles "pop" for the photos, and no one gets muscles like that from lifting five pound dumbbells! Don't be fooled -- these models are pumping heavy iron at the gym. To add insult to injury, the pictures are often heavily photoshopped so the models themselves don't even look like the pictures. If your goal is to look like a magazine fitness model in a short period of time, then you are setting yourself up for major disappointment. People who set realistic, long-term goals are much more likely to achieve them. For most of us, getting in shape is a long, slow, steady process. Fitness gains and health improvements come in very small increments. Some weeks you may not notice any changes. It is important, therefore, to look for other ways to keep yourself motivated. Set short-term goals such as walking a little bit further each week, increasing the speed of your pace, or reducing the time it takes to cover a certain distance. Then, reward yourself for accomplishing your small goals. These rewards can be a small treat such as a new book, new exercise clothes, or a spa service. Perhaps the best reward of all is the great feeling you get after a workout. One of the best ways to stay on track with your fitness plan is to involve yourself in activities where you must be accountable to someone else. Exercising with a buddy means you have to show up at a certain time. Working out with a personal trainer means you have someone waiting for you at the gym. And my personal favorite -- signing up for an organized event such as a 5K walk or run. When you commit to participating in an event like this (and especially after you pay the entry fee) you are much more likely to continue your training efforts. These events are scheduled every weekend all across the country and are open to people of all fitness levels from total beginners to elite athletes. Most events are for both walkers and runners. Your goal is to do your personal best, so don't be intimidated by more experienced participants. You can find local races by visiting sites such as Active.com or Running in the USA. 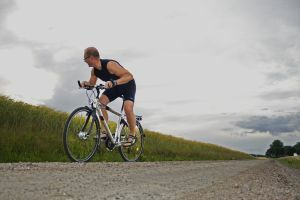 Another fun way to be accountable in your exercise program is to join a local walking, swimming or biking club such as the American Volkssport Association. This group organizes more than 3,500 events nationwide each year. Volksmarching (non-competitive fitness walking that originated in Europe) is particularly enjoyable -- you can walk in organized events or you can complete the walks on your own. Most cities have Volksmarch walks already mapped out so you can participate in your own hometown or even when you are traveling. For a small fee you can buy a passbook to collect stamps showing the Volksmarches you have completed. No matter which form of exercise you are participating in -- walking, biking, weight lifting, running, swimming, martial arts -- the most important thing is to do it consistently, set realistic goals, and be accountable. Your task this week is to commit to an organized exercise activity in your community. Search newspapers and radio stations for upcoming local events, sign up for one, and put it on your calendar! Involve friends and family and make it twice the fun. Training for an event like this can help keep you motivated and elevate your workouts to a whole new level. "An athlete who tells you the training is always easy and always fun simply hasn't been there. Goals can be elusive which makes the difficult journey all the more rewarding." With all the talk these days about good carbs and bad carbs, low carbs and no carbs, how is one supposed to sort through so much information and figure out which carbs are actually okay to eat? Pick up any magazine or tune into any talk show and someone is espousing the virtues of eating low or no-carb. Celebrities are shunning carbs, diets promising speedy weight loss warn us to avoid them, and it seems everyone is on some sort of carb-bashing bandwagon. But why all the negative press for carbohydrates? Exactly what is wrong with them and why are so many people eliminating carbs altogether? To sort it out, we must first understand what a carbohydrate is. Carbohydrates are the body's main source of fuel and are made up of sugars, starches and fiber. Our bodies break down most carbs into single molecules of sugar which can then be absorbed into the bloodstream. Carbohydrates are classified into two main types: simple and complex. Simple carbohydrates are already single or double molecules of sugar and can easily be identified by their "ose" endings -- glucose and fructose (found in fruit), lactose (found in dairy), and sucrose (table sugar which comes from beet or cane sugar). Simple carbohydrates are easily absorbed and contain little, if any, nutritional value other than providing instant energy for the body. Complex carbohydrates are made up of many sugar molecules strung together like a chain. 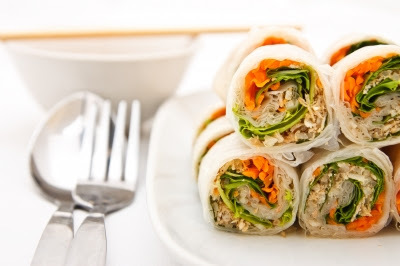 They also contain starch and fiber which are important for good health. Most starches break down into sugar, while fiber is indigestible by humans -- we do not possess the necessary enzymes to break apart the links, therefore it travels through the intestines acting as a "cleanser" for the colon and encouraging the growth of healthy bacteria in the lower gut. Complex carbs require the body to work harder digesting them -- the long chains of sugars must first be broken down into single molecules -- and they contain plenty of other vitamins and nutrients that get absorbed along the way. Complex carbohydrates include grains, vegetables, nuts and seeds, beans and legumes, corn and potatoes. The reason carbohydrates get such a bad rap is because most Americans eat a diet that is much too high in refined carbohydrates. Refined carbs are foods which have been highly processed by food manufacturers. For example, refined grains have had the high fiber parts (the germ and the bran) removed from the grain. When a complex carb is refined it loses its complex structure and thus all the properties that made it a healthy choice. It takes on the properties of a simple carbohydrate and is processed by the body as such. White rice, white bread, sugary cereals, pasta, noodles and pretty much anything made from white flour, including packaged cookies, crackers and pastries, are all examples of refined carbohydrates. Sodas, sugary beverages and fruit juices are also refined carbs. They are quickly absorbed into the bloodstream causing a rush of glucose which results in excess available energy. Your body uses only the glucose (energy) it needs immediately and stores the rest as fat. Once all the excess glucose is stored in the fat cells, you become hungry again and reach for more simple, refined carbs to satisfy the craving. This cycle repeats over and over. Eating too many refined carbohydrates can result in rapid weight gain. Unrefined complex carbs are a much better source of energy for your body. Because they are loaded with starches and fiber, it takes your body longer to break them down and move them through the digestive system. There is a slow and steady release of glucose into your bloodstream -- think of unrefined complex carbs as "time-release" capsules -- so you stay full much longer and don't experience rapid hunger and cravings. Small, frequent meals which include complex carbohydrates, along with protein and healthy fats, are the best way to control appetite and supply steady nutrition and energy. Whole grain breads and cereals, fruits, vegetables, brown rice, sweet potatoes and beans are perfect complex choices. Many popular diets would have you believe that giving up carbs completely is the answer to controlling your weight and appetite. They perpetuate the myth that there is something special, almost magical, about low or no-carb diets. The reality is when you give up an entire food category such as carbs, you eliminate a large number of calories from your diet. There is nothing magical about it: less calories = weight loss. But weight loss at what price? Diets that are too low in carbs deplete the healthy glycogen (the storage form of glucose) in your muscles. Depleted glycogen causes dehydration which results in quick and drastic reductions on the scale. Dieters are often encouraged by these early, large losses assuming it is fat that is melting away. The fact is, the loss is due to water loss and muscle atrophy. We know from our previous Healthy Tip on sarcopenia that a reduction in muscle results in a slowed metabolism. And a slowed metabolism means rapid weight gain when one resumes eating normally again. Studies show that most people cannot maintain a low carb diet for an extended period of time. When we distinguish between the health-robbing effects of simple sugars and other refined carbs and the health-giving properties of complex carbohydrates, it is easy to see that eliminating all carbs really isn't a good idea (1). They are much too important nutritionally to just write them off. Remember, not all carbs lead to weight gain! Healthy, unrefined carbs are exactly what our bodies need and were designed to digest. They are an important source of vitamins, minerals and fiber that cannot be gotten from any other source. Fruit deserves a special mention -- although it contains simple sugars, it gives a lot of bang for the buck, particularly for those of us with a sweet tooth. It is rich in vital nutrients, high in fiber, relatively low in calories, and provides instant sweetness and hydration. In contrast, overprocessed, refined carbs are nutritionally "empty" and contribute to the obesity epidemic in our country and globally. As in all the other nutritional Healthy Tips, I encourage you to start paying careful attention to the kinds of foods you are choosing and eating. This week, your task is to keep a list of the foods you eat. Place a star next to carbs that are refined or simple and begin to look for patterns. When you ate a muffin made with enriched flour (simple carb) were you hungry a short while later? Did eating a bagel made from whole wheat or a bowl of oatmeal (complex carbs) keep you satisfied longer? Examine places in your diet where simple, refined carbs can be replaced with wholesome, complex ones. Choose a piece of whole fruit instead of fruit juice, whole grain breads instead of white breads, and oatmeal rather than packaged cold cereals. Choose whole wheat pasta over regular pasta, brown rice over white, and water over sugary beverages and sodas. Try to reduce the number of starred items on your food list. Commit to eliminating as many of the "bad" carbs as you can, enjoy the "good" carbs, and don't feel a bit guilty about eating them! After all, they are your body's preferred source of fuel. Week 13 - Laugh..... a lot! Laughter is the best medicine..... we've all heard that expression about a million times. But is it really the best medicine? And for that matter, is it really medicine at all? Mounting evidence through research certainly suggests that laughter is medicinal with its own unique healing properties. Just how that healing occurs as well as laughter's full medical benefit is still a mystery. One thing for sure... it feels good to laugh! 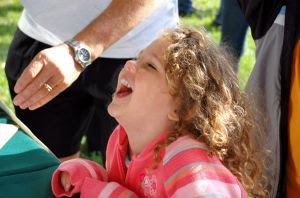 Laughter triggers the release of endorphins which are the body's feel-good chemicals. Endorphins promote an overall sense of well-being in the body and can even temporarily reduce pain. Laughter eliminates negative emotions; anxiety, depression and anger all take a back seat when one is laughing (1). Laughter can also help reduce stress and tension. Muscles stay relaxed up to 45 minutes after a bout of laughing. Exactly what is laughter? Encyclopedia Britannica describes it as a series of "rhythmic, vocalized, expiratory and involuntary actions." Laughter is the physiological response to humor and is comprised of a unique set of vocal properties. According to ­behavioral neurobiologist and pioneering laughter researcher Robert Provine, it consists of short, vowel-like sounds that are repeated every 210 milliseconds. Laughter is a universal language, understood in all cultures around the world, and occurs in adult humans an average of 17 times per day. Interestingly, young children tend to laugh as many as 300 times per day! Have you ever walked past a room full of people just as a loud burst of laughter erupts? Most of us will stop, and even turn around, to find out what the laughter is all about. Humans are naturally drawn to laughter; the cadence and rhythm are familiar and instinctual and we want to experience the same "feel good" emotions of those who are laughing. Laughter is a bonding experience and can help break the ice and nervous tension among strangers. When we laugh together, we immediately have something in common. Laughter is also contagious and even when one misses out on the initial joke, he or she will often end up laughing just because others are laughing. And one of the best things about laughter -- people don't even have to speak the same language to be able to laugh at the same things. Laughter affects the body in much the same way that exercise does. It increases heart rate and burns calories. A study conducted at Vanderbilt University found that just 10-15 minutes of laughter can burn 50 calories or more. A good belly laugh causes the diaphragm to expand, contracts the abdominal muscles, and even gives the shoulders a bit of a workout. Interestingly, the brain does not know the difference between "real" laughter and "fake" laughter. So even if you aren't in a particularly humorous mood, forcing yourself to laugh (which usually results in real laughter anyway!) can provide all of the same healthy benefits. Laughter Yoga classes*, which have become quite popular in recent years, use this very method to promote wellness through forced laughter. It is too easy to get bogged down in the details and seriousness of our busy lives. Due to work or school, professional commitments, and quiet environments, there are times throughout the day when humor and laughter are inappropriate. Therefore, it is important to take advantage of the opportunity to laugh when you can. Try to find humor in everyday situations. Learn to laugh at yourself, laugh with others and lighten things up a bit. Laughter unites people during difficult times and helps shift perspective allowing you see situations as less threatening. Interact with pets -- they do some of the funniest stuff!